Just like when The Cordial Churchman got started with that on-a-whim seersucker bow tie two Easters ago, many of our current offerings may appear to be genius, but, truth be told, they're just hair-brained experiments. 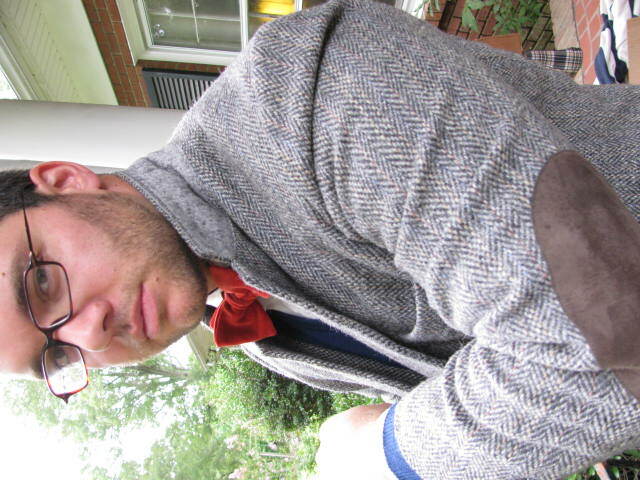 Such was the case with the Rust Velvet bow tie pictured above. The fabric caught Ellie's eye as she was searching for much more conservative wool plaids. 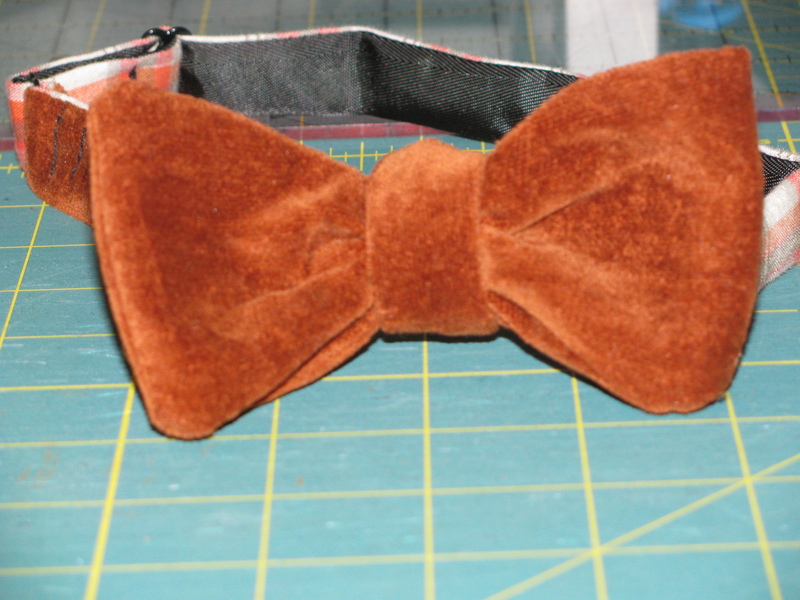 Surely no one wants a rust velvet bow tie, right? Well, folk bought them. They bought them all up. And now we can't find the fabric. After getting an email every other day from people, Ellie went in search for more quirky velvet. What she's come up with is, in my biased opinion, pretty fantastic: a rusty acorn brown (you know, since acorns are prone to rust); a navy blue; a silvery-bluish gray (all above); and, when the occasion calls for class above all else, black (below). There are certain benefits to actually being The Cordial Churchman. 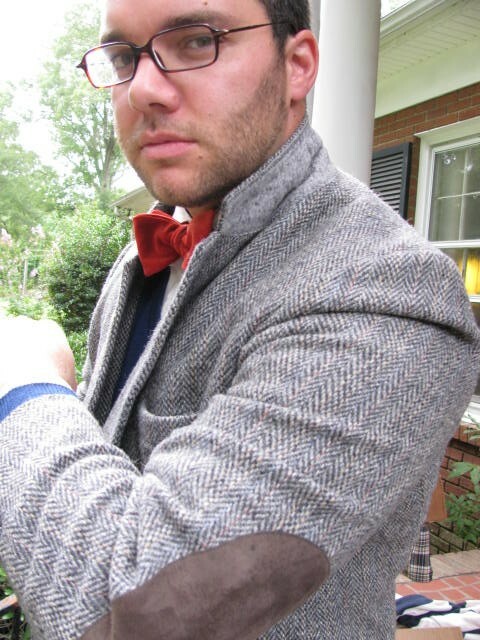 One of them is that I own, and shall not be parting with, the last original rust velvet bow tie. I'm so glad I snagged one before you all gobbled them all up. You'd have to offer me a mint condition vintage Vespa or pair of Alden suede penny loafers to get me to part with it. Instead, I suggest you head over to the store and grab one of these exquisite, newly minted velvets. 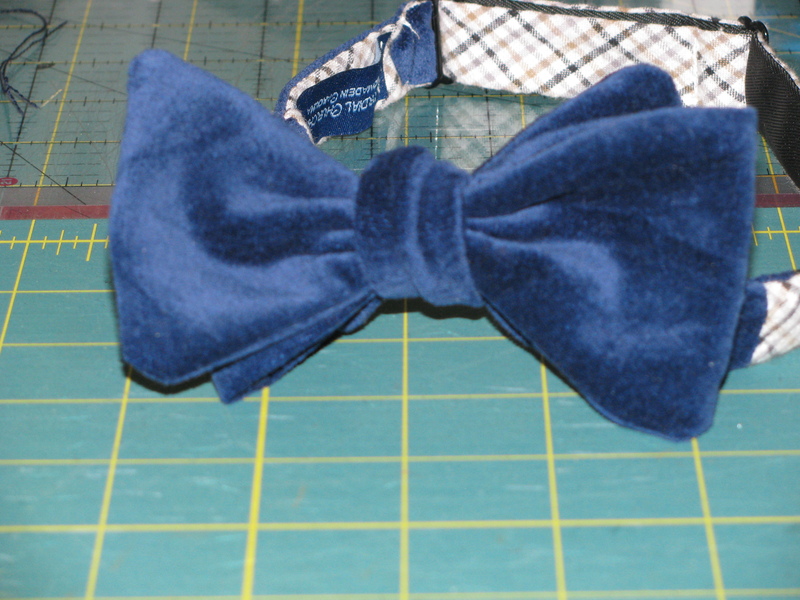 The Churchman is doing a bit too well at inciting covetousness for the navy blue velvet! I predict the black velvet will be a huge hit this holiday season, though velvet ANYTHING looks great! 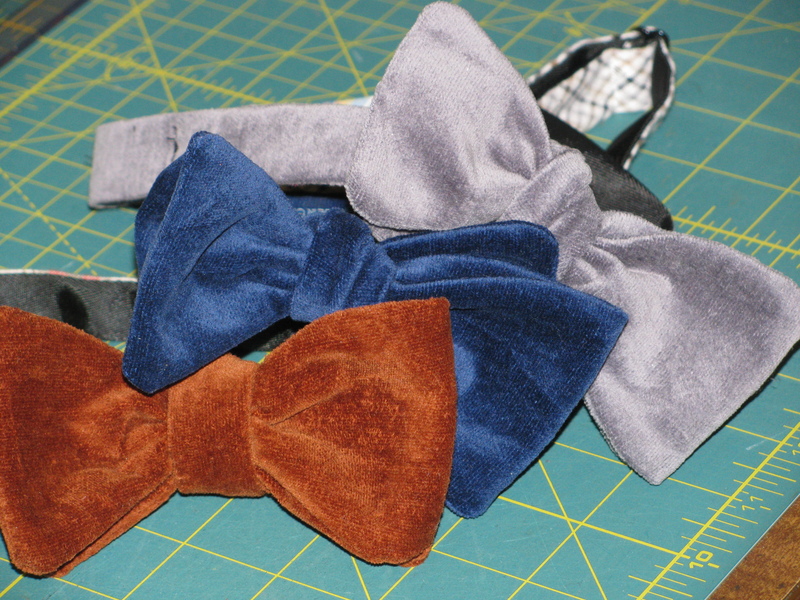 I’m thinking black velvet bow tie for the gentleman, and long black velvet dress for the lady! The black velvet would also be great for winter wedding parties…especially with “black and white” formal weddings being so popular right now. You both amaze me! 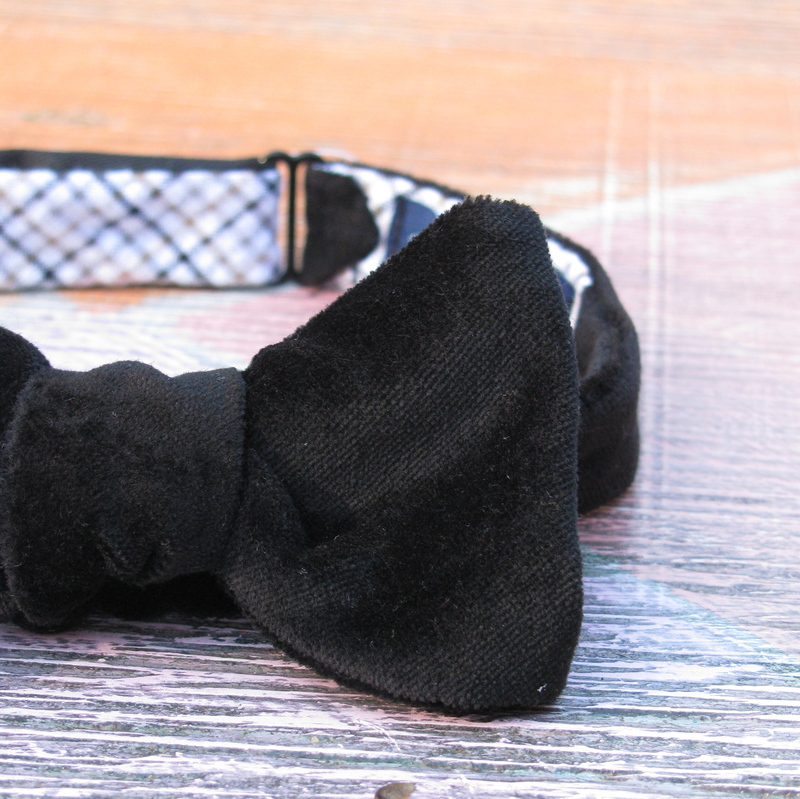 Is there a female equivalent to the velvet bow ties??? ?